Hello there ladies! It's review time once again. 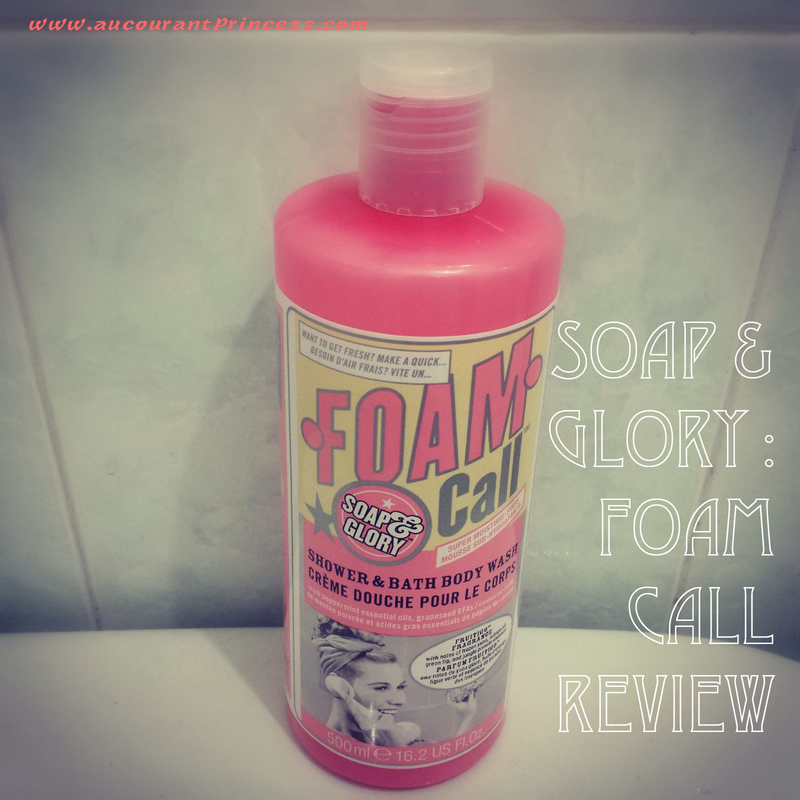 Today I'll be sharing with you my thoughts on Soap and Glory's Foam Call Dual-use Shower and Bath Body Wash. I got this body wash early this year as a birthday gift from my husband. This is part of the Soap and Glory : In the Bag promotion Sephora had at that time. A freshly scented body wash with super-moisturizing suds. Get fabulously clean and hydrated with this body wash for bath and shower, boosted with grapeseed and peppermint oils, essential fatty acids, fruitliquid fig, and orange waterjuice™. These magic bubbles clean up your act without drying your skin. Lather-up in the shower or fill the tub with these luxurious suds and take in the exotic citrus Fruitigo™ fragrance with notes of frozen yuzu, orange oil, and jungle pomelo. In shower, rub a small handful onto damp skin and massage until it bubbles. Then rinse. For bath, add five to 10 pumps into pouring water. Lovely packaging. The product is packaged in a vintage style pink bottle. I love anything pink so this is definitely a pro although I had a slight con with it which is I kind of hope that the product comes out from a pump. Yummy scent. I really really love the scent especially when I came out of the bathroom. My husband loves it too. As described above this product has a Fruitigo™ fragrance which somewhat smells like a delicious aroma of a fruit. But it doesn't last long though. Rich Lather. The consistency is thin and creamy and foams luxuriously which means you only need a small amount because as mentioned it foams up really well. Fresh and Velvety Finish. Other than smelling oh so heavenly, I also like that my skin feels so smooth and silky after washing. Of course, not forgetting the squeaky clean feeling as well. Dual-use. The product can be use both for showering and bathing. I just love dual purpose products. I think they're really economical. Why buy two different products when you can buy one for both, right? Unfortunately, I don't have a bathtub at home. Hahaha! I'm not really particular with soaps, shower gels and/or body wash but this product from Soap and Glory is really awesome. I especially love the packaging. Anything pink just catches my attention and the scent is just so yummy! I just love this product and I honestly don't have anything against it. I would definitely recommend. However I cannot say how much is the product's worth since I only got it as a gift. It's only available at Sephora. You might want to check their website here. Check out my reviews on Soap and Glory Butter Yourself Moisture Lotion and Soap and Glory Pulp Friction Body Scrub too. How do you find Soap and Glory products? Let me know in the comment section below. Soap & Glory are my ultimate fave!! Can't live without it.